Gaara. I apologize if someone already geplaatst this. This pic reminds me of my brothers! XD. 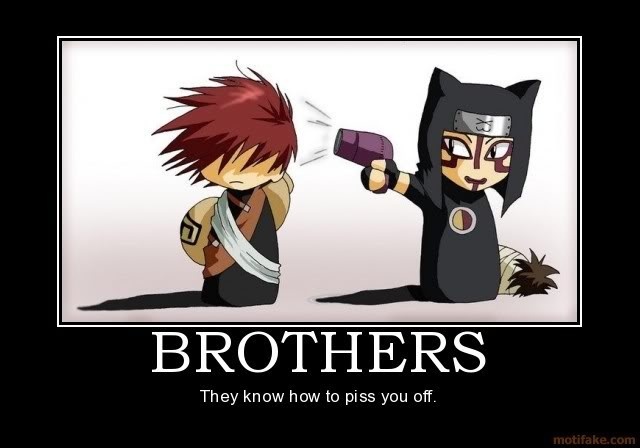 Wallpaper and background images in the Naruto club tagged: photo gaara kankuro meme annoying brothers naruto.